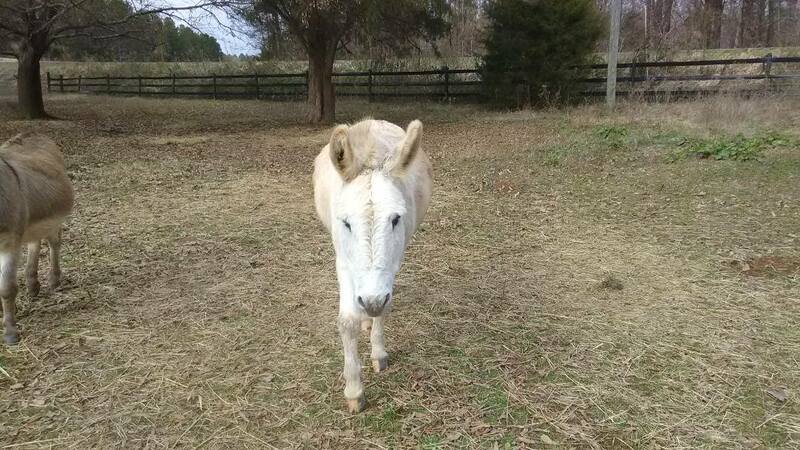 Ezra is a 9-11 year old gelded donkey available for adoption. He stands for grooming, bathing, and blanketing. He has been extremely well cared for. 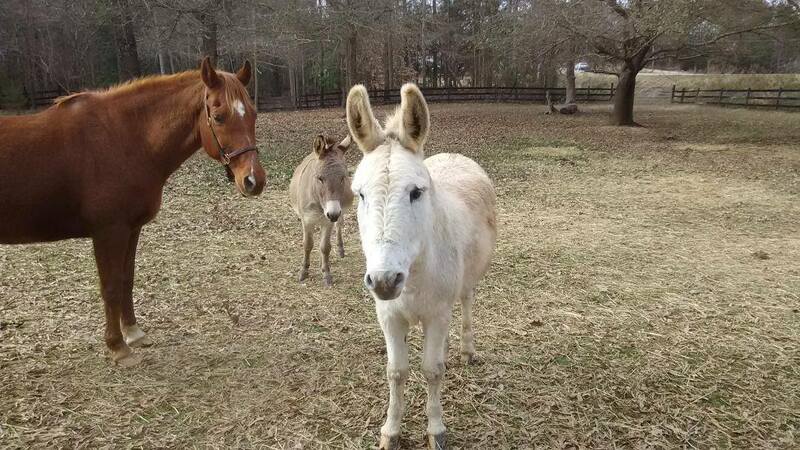 He is good with other equines and has been pastured with cattle. Life changes have forced his rehoming. He came in with Job and it would be amazing if they could be paired up in a new forever home. But Ezra can go solo as well. Ezra is not fond of dogs. He might make for a good cattle guardian. 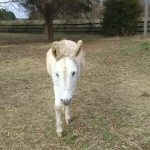 He is up to date with Coggins, vaccinations, and farrier care. We do not have current height measurements. Proper facilities are required. If you are a kill buyer or auction flipper BEWARE! We do thorough background checks and check references so please don't bother to email us. Health Certificate will be required for travel at the adopter’s expense. 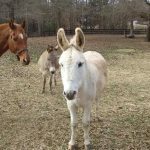 If you are interested in adopting this handsome long ear, adoption applications are here at https://hollowcreekfarm.org/how-to-adopt/ Equine adoption fee does apply.